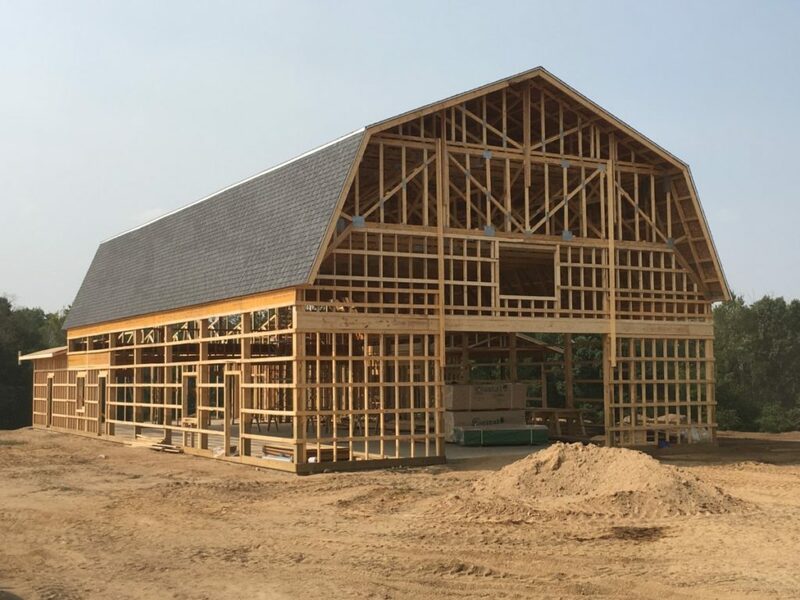 Leslie Meadows - Byce & Associates, Inc.
Design Program: Byce & Associates, Inc. provided Architectural and Engineering services for the design of the Leslie Meadows Event Barn in Fulton, MI. 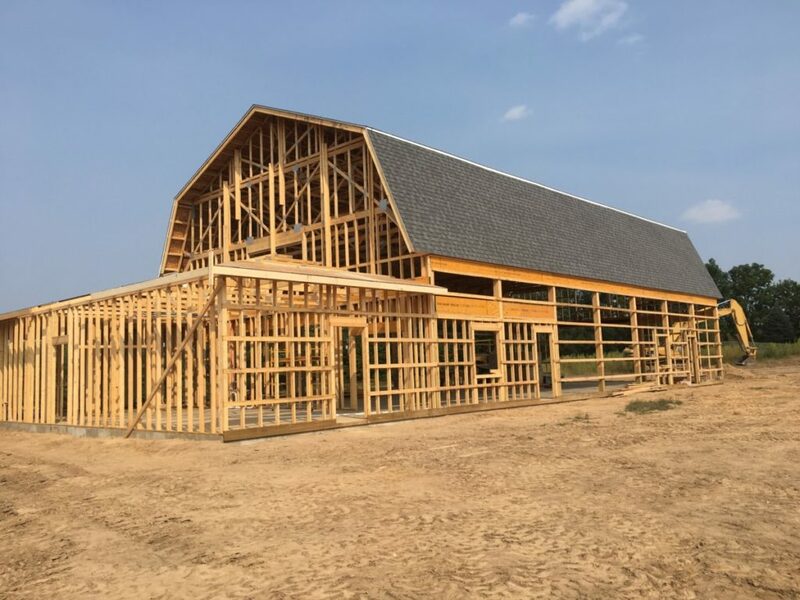 The 4,200 square foot barn includes a two-story event space with a 1,250 square foot open area lean-to for general event activities, a catering kitchen, and full service restrooms. 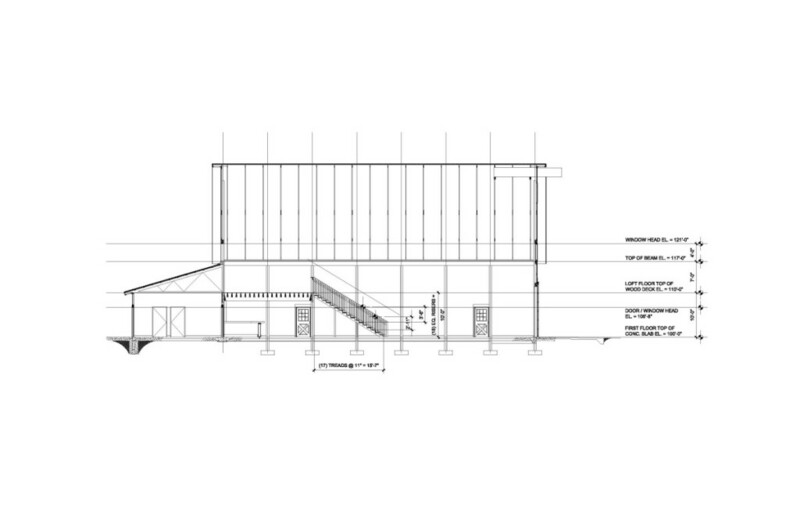 The upper level balcony has access to a roof top terrace overlooking the surrounding meadows. 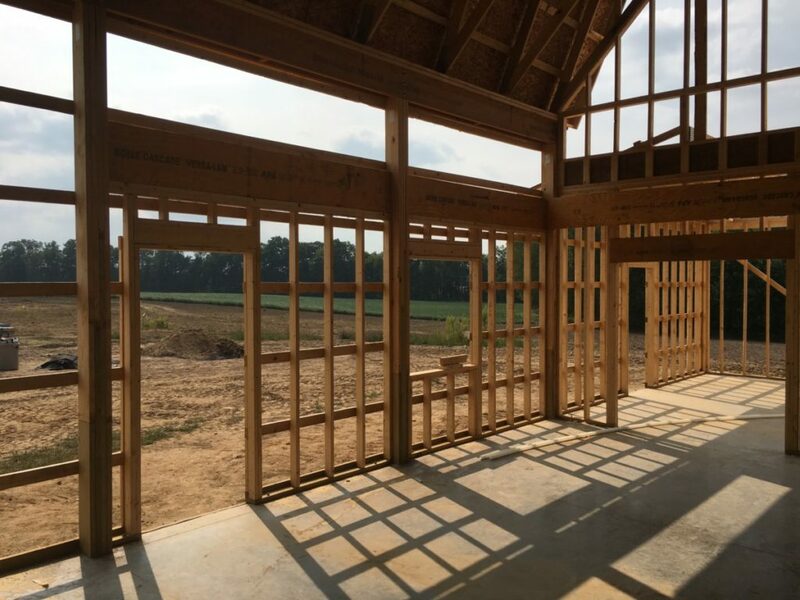 Construction of the building required a standard post and beam structural framing with timber accents and open gambrel style roof trusses spaced at 4′ centers to accentuate the open clerestory. The exterior cladding was vertical natural wood ship-lapped siding with an antique, semi-opaque stain finish and architectural laminated shingle roofing. 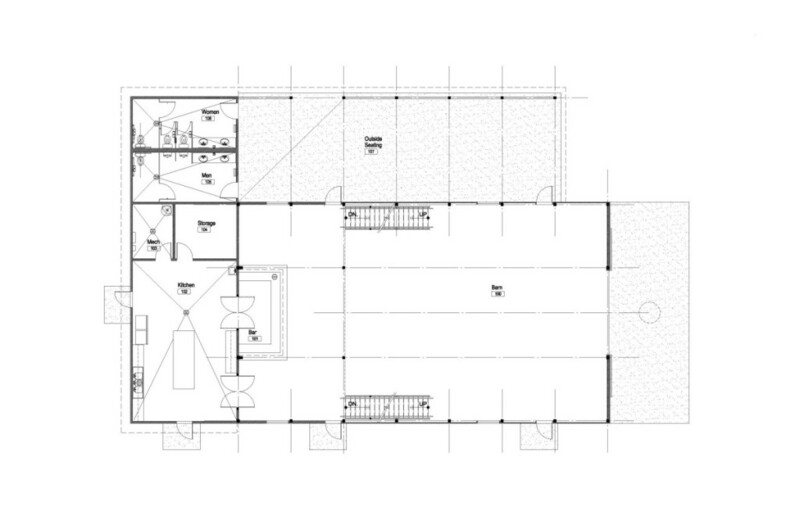 Design Challenges: The property is located at the top of a hill and in clear line of site distances from the drive which dictated the site access point, and required a study in order to accommodate the owner’s needs.